During the 2018-19 season, Jennifer continues critically acclaimed series from past seasons, including The New American Concerto, Limitless, Bach and Beyond, Shared Madness, and Bridge to Beethoven. The New American Concerto is an ongoing, multi-season commissioning project that explores the form of the violin concerto and its potential for artistic engagement with contemporary societal concerns and issues through commissions from a diverse collective of composers. This season, as part of the project, Jennifer performs Vijay Iyer’s violin concerto Trouble with the Louisiana Philharmonic Orchestra and Vermont Symphony Orchestra. The New American Concerto launched with Jennifer’s world premiere performance of Trouble at the 2017 Ojai Music Festival and has since continued with a new concerto by Chris Cerrone titled Breaks and Breaks, which she premiered with the Detroit Symphony Orchestra in May 2018. Jennifer performs music from Limitless, a commissioning project that engages leading composer-performers to write duo compositions that explore the artistic relationship between composer and performer. She and Vijay Iyer perform his piece Diamond for violin and piano at Cornell University, while Jennifer also solos in Anna Clyne’s concerto Rest These Hands―a work composed for Jennifer―with the Cornell Chamber Orchestra. Later in the season, Jennifer performs duos with Vijay composer-percussionist Tyshawn Sorey in a Limitless program that also features solo works and an improvised trio performed by the artists, presented by Saint Paul Chamber Orchestra. Limitless launched in March 2018 over two nights at National Sawdust. 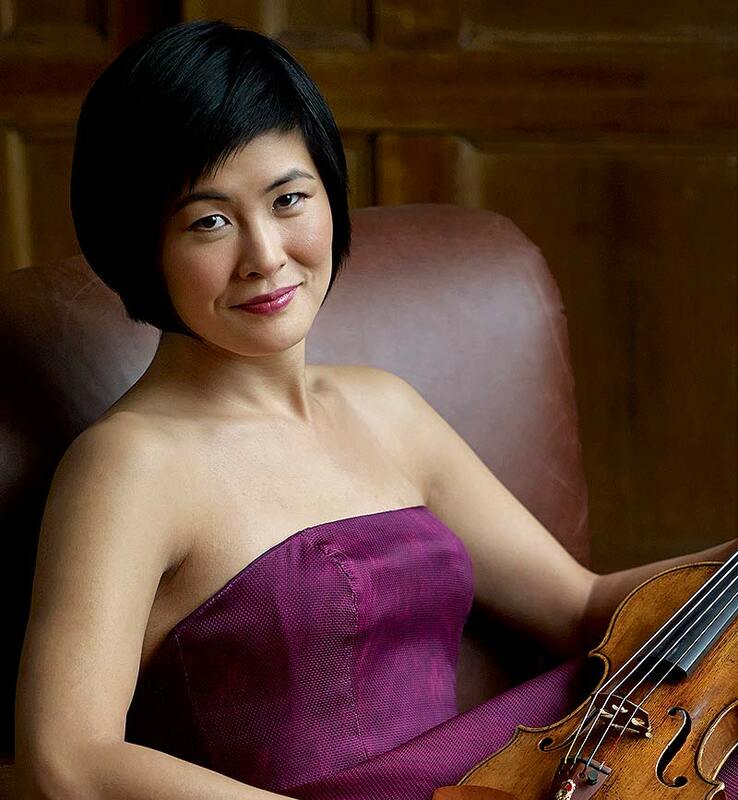 Born in Chicago of Korean parents, Jennifer began playing the violin by chance, choosing the instrument in a Suzuki-method program only because spaces for cello and piano had been filled. She made her debut with the Chicago Symphony Orchestra at age 11. She has been honored as Musical America’s 2016 Instrumentalist of the Year, top prize winner at Moscow’s International Tchaikovsky Competition, winner of the Concert Artists Guild Competition, and a recipient of an Avery Fisher Career Grant. She has a Bachelor of Arts degree in English literature from Oberlin College and studied at the Curtis Institute, where she worked extensively with Jaime Laredo and Felix Galimir. For further information, visit jenniferkoh.com.